A sub-culture of fantasy novels has emerged in recent times in which the lead character is a young-ish female, a reluctant warrior/hero, who dwells in a city patterned loosely on 18th Century Europe. Magic and metal working have evolved simultaneously, leading to the popular steampunk era, whilst rapiers, muskets, gunpowder and quick thinking on one’s feet equally abound. 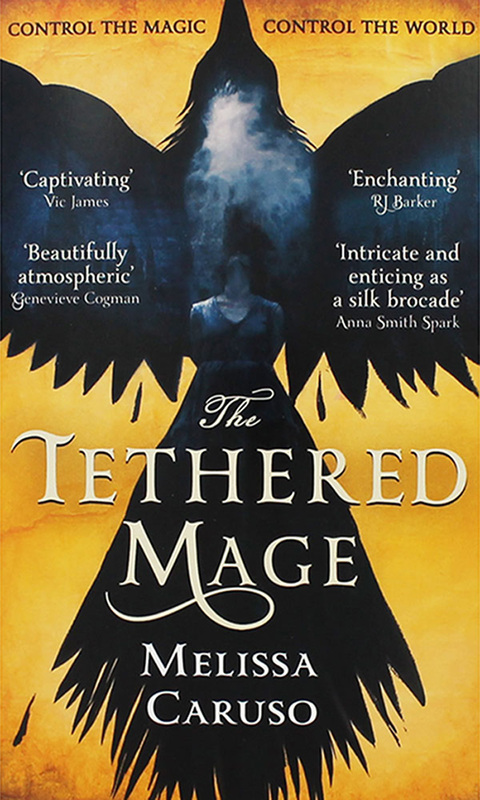 The Tethered Mage by Melissa Caruso is the first of a trilogy by a new author, and is easy to read, quite embarrassingly engrossing (the reviewer admits to reading during meal times) with believable characters and set in a world not dissimilar to 18th Century Venice. Told in the first person, the main character is Amalia, heir to a Council of Nine member (who reports to the doge) who accidentally befriends a rare fire warlock (to whom the novel’s title refers). Balancing conflicting duties of an heiress, the keeper of the warlock, blossoming romance and a threat to her lagoon city, Amalia summons her hither-unknown inner courage and resolves the many and various sub-plots. For those who enjoy steam punk fiction e.g. Genevieve Cogman’s Invisible Library series, this new series is recommended.